EagleVail’s Mikaela Shiffrin picked up her second slalom win of the season on Sunday, battling through tough weather conditions and poor visibility to pad her overall World Cup lead. Racing in front of a fired-up home-snow crowd of 15,000 at Killington, Vermont, Shiffrin turned in the fasted first-run time and then held off her hard-charging rival Petra Vlhova of Slovakia in the second run. Sweden’s Frida Hansdotter finished third. “You guys, I could hear you from the start. That was the most unbelievable thing I’ve ever experienced, so thank you,” Shiffrin said to the huge crowd, according to the International Ski Federation website. Sixteen racers failed to finish the first run due to misty conditions and tricky visibility, but Shiffrin toughed it out for a first-run lead of .29 seconds over Austria’s Bernadette Schild, who wound up off the podium in fourth after a disappointing second run. That was the same position Shiffrin finished in Saturday’s giant slalom at Killington, where she was just too far back in sixth place after the first run. Still, Shiffrin has a podium (top 3) in GS this season and now two slalom wins heading into next weekend’s speed action at Lake Louise, Canada — site of her only career downhill victory. Sunday’s win was the 45th of Shiffrin’s career — good for fifth on the all-time victory list. The defending two-time overall World Cup champion is now just one win from tying retired Austrian great Renate Goetschl for fourth on the all-time list topped by Vail’s Lindsey Vonn with 82. Mikaela Shiffrin (Avon, Colo.) skied away with her 45th World Cup victory Sunday, but the fans at Vermont’s Killington Resort were the real winners this weekend. More than 15,000 screaming fans braved mist, rain, and fog to cheer not only the best ski racer in the world to victory, but for the first time in years, three Americans who qualified for the second run. 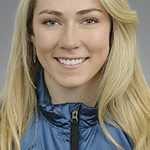 Shiffrin skied to a 0.29 second first-run lead over Austria’s Bernadette Schild, and more than a half-second ahead of Slovakia’s Petra Vlhova on an “interesting” first run course set, which challenged a number of racers, in addition to the fog rolling in and out. In addition to O’Brien, who finished 23rd, Paula Moltzan (Burlington, Vt.) wowed the home-state crowd with a career-best World Cup finish in 17th. Sunday’s race was the first time in years that three Americans have qualified for the second run in slalom, and all scoring World Cup points. Both Shiffrin and O’Brien agreed that it is the start of something special. “It’s been a while since we’ve had a really strong showing and Nina… I watched her first run today and I was like ‘that’s the kind of fight I’m going to have to have in the second run.’ It was so awesome,” Shiffrin said. “We’ve been training together and I’ve seen these flashes of absolutely brilliant skiing and I saw some of that today. “We have some really good strong racers, and it’s really cool to have this kind of showing of Americans in the second run and on the final board,” Shiffrin added. Up next, the women’s World Cup moves on to Lake Louise for a pair of downhills and a super-G. Shiffrin scored her first career World Cup downhill win at Lake Louise last season and plans to compete in all three events next week.